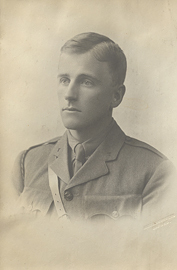 Man in military uniform, photograph. 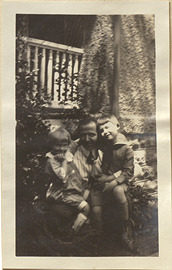 Man kneeling with a child on each knee, photograph. 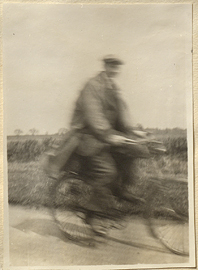 Man on a Bicycle, photograph. 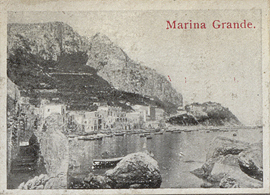 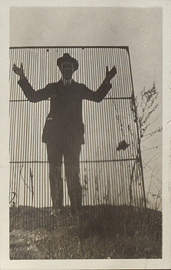 Man posing behind grate, photograph. 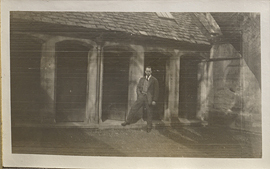 Man standing in Chestnut[?] 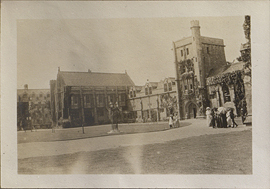 quadrangle, Oxford, England, photograph. 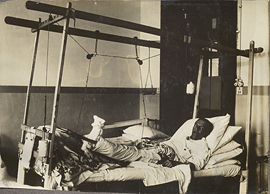 Man with compound fracture of femur, and injured leg in suspension frame, photograph. 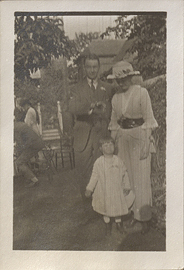 Man, woman and small child standing together in a garden, photograph. 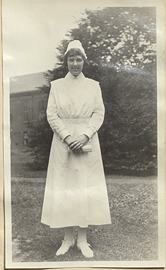 Mansfield College, University of Oxford, photograph. 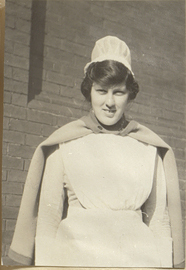 Margaret Mundie in Uniform, photograph. 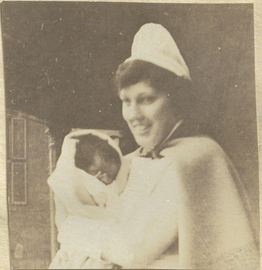 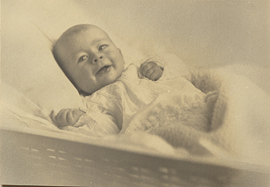 Margaret Mundie with an Infant, photograph. 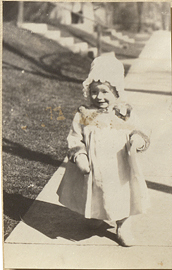 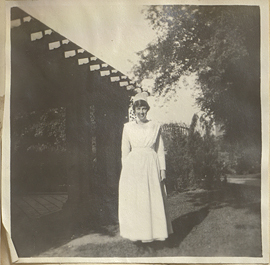 Marian Chester on a Sidewalk, photograph.